The Easter Holidays bring with them a challenge. Go or stay in Sydney? 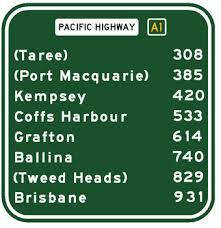 There is an alternative to the potentially slow crawl out of Sydney. Famous for show bags, smelly animals, a rodeo and wood chopping. Kids love it. Make sure you bring buckets of patience (and cash) with you. The Royal Easter Show’s ‘Explore and Plan’ may help to make the experience a little easier. What’s Open on Good Friday? “Sydney is dead on Good Friday!” Is it really? The Sydney Family Show is all about rides and entertainment for the whole family. I think most people know about the Harbour Bridge Climb but you might not know about the much cheaper option that predates the Bridge Climb by some margin. If you climb the 200 steps to the top of the Harbour Pylon you will not only be rewarded with magnificent views of Sydney but also be given an insight into Sydney and her magnificent Harbour Bridge. For me, the best part of this experience, apart from the view of course, are all the amazing stories such as that of Vincent Kelly and his life (saving) belt. Follow the link below for more info. 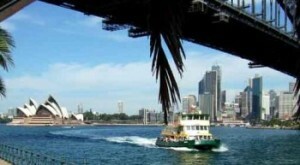 A trip to Manly is a great excuse to catch the Manly Ferry so that you can enjoy the journey as well as the destination. 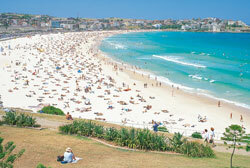 Manly has numerous inviting cafes, bars and boutique shops to explore and enjoy. The Manly markets provide an extra incentive to make the trip. If you do you may be rewarded with a bargain or unique gift. The markets aren’t just about spending money; there is often a good vibe about with free entertainment for young and old. The markets are held on Saturday & Sunday from 9am to 5pm at Manly Market Place. Manly is ranked highly on the top 100 list, follow the link below for more about Manly and other top things to do in Sydney. The Powerhouse is, well, a powerhouse of things to do at Easter. It is hard to know how they pack it all in. You can enjoy fun activities, great games and clever craft for children to make and do at home. The Powerhouse is a playground, a playhouse, a space lab; in fact the Powerhouse has something for everyone, even Mum and Dad. Come to Hyde Park to celebrate the true meaning of Easter and have a great time in the process. After a visit to the nearby Royal National Park (listed at No. 27 on the Top 100 things to do) you could take a look at an old Sydney tram (yes, once trams roamed Sydney’s streets just like Melbourne). In fact, if you visit the Tramway Museum on Wednesday or Sunday you can even ride on one. For many and certainly those that live there, the Northern Beaches have the best beaches in Sydney if not N.S.W. You may disagree but after you visit the National Parks, Church Point, West Head and Pittwater you’ll know why they call this God’s Country. As well as the Royal National Park (see above) there are many more National Parks all offering a variety of fun things to do including bike riding, swimming in clear water creeks and lagoons, snorkelling, canoeing and much more. Visit No. 7 of the Top Things to in summer in Sydney. The Hawkesbury River is a picturesque and grand river with many fine and attractive islands and bays to explore. The Hawkesbury flows north and west of Sydney and acts as a natural border between Sydney and the Central Coast. There are many ways to enjoy the Hawkesbury, one of the best is to visit Brooklyn (because from Brooklyn you can catch a ride on the Riverboat Postman, or go Kayaking) and think to yourself, what a wonderful world (oh yeah!). We said earlier that ‘it doesn’t have to cost much’ and ‘free’ is pretty good value. Below you’ll find a link to a list of free or (close to it) things to do in Sydney. Holiday on an Island, a Sydney Harbour Island! There are loads to things to do on and around Sydney Harbour. So use the holidays as an excuse to explore the Harbour like you’re never done before. It doesn’t have to be Bondi Beach, you could go to Palm Beach instead and catch a ferry to The Basin in Ku-ring-gai Chase National Park or even across the mouth of the Hawkesbury River to the Central Coast. Penrith Library often wins the prize for best for kids when it comes to the Easter holidays. In the past they have run reptile and magic shows. Most libraries will be hosting activities for kids over the holidays, even if it’s just storytelling. Check out yours for details. City of Sydney Libraries often have a range of activities on offer, from short film festivals and architecture talks, to local heritage tours. I guess we all need a change of scene sometimes. Go on an adventure. Head north and enjoy the bonus of marginally warmer weather. There are many other events in March and April in Sydney.